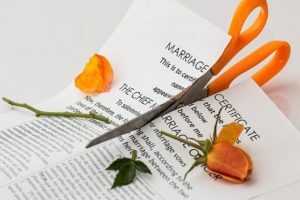 Nobody knows the struggles and heartbreak of divorce litigation better than family law attorneys. Feelings are hurt, anger and resentment are present, and sometimes lives can be in danger. It is an embattled situation that deserves the best care and attention possible from everyone involved. However, delicate matters such as child support, alimony, custody, and marital asset distribution deserve thorough and unbiased investigation. By offering surveillance, forensic accounting, background checks and more, Complete Legal Investigations Inc. finds the missing details and provide you the information in a confident, legal manner to assist on the case. By offering a thorough and unbiased investigation, you will be able to resolve any allegations brought against your client. We help you with the tough questions your client must answer. • Asset investigation- Our team has the instincts and resources to conduct asset searches quickly, thoroughly, and reliably. • Alimony/support enforcement/modification -Relieve financial stress from worried moms. • Criminal Background Checks-Peace of mind through knowledge. • Domestic Violence-Quick action may save your client’s life. • Child abuse-Impartial verification of a potentially dangerous situation. • Probate, Trust, and Guardianship-Uncover potential criminal activity or exploitation. Click here to learn more about the ways our experienced and knowledgeable investigators can unearth details missing from your case and bring peace of mind to your clients.